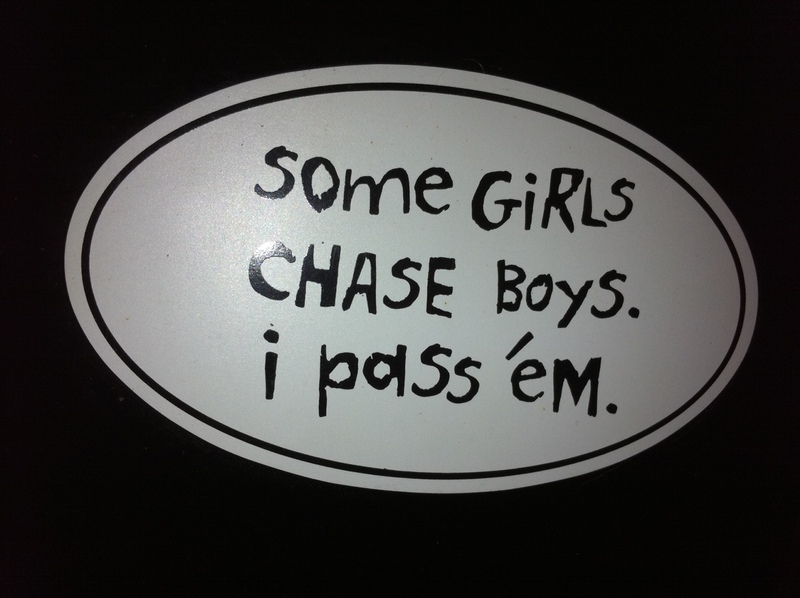 The Magnet On The Back Of My SUV. My training for the past few weeks has not gone as well as I had hoped. I definitely have had some good days however not on my long distance days which is what I really needed. I still haven’t ran over 7 miles at one time since I was injured but I think I am going to still at least attempt the half marathon on Sunday. I am pretty sure I can finish it, just fear my time will be worse than my first half marathon. Plus about six of us from my work are running in the half marathon (we even have matching shirts) but I am the only woman so I feel like I have to represent. I need to give these guys a run for their money! Sometimes it is hard to switch to the “just be happy you finished” mentality rather than the more competitive “I want to beat my PR” or “I want to beat him/her” mentality. Who knows maybe I will be ok…I only ran 18 miles before my first marathon and I stuck it out through over 8 more miles. So I have only ran 7 miles…what is 6 more? This entry was posted in Multiple Sclerosis, Running, Triathlon, Uncategorized and tagged Half Marathon, MS, Multiple Sclerosis, Running, Swimming, Triathlon. Bookmark the permalink. Thank you! I did enjoy the swimming! Good luck. Glad you are getting into Tri’s they are great. Thanks you, I am excited to try something new. I feel so much happier now I untnesdard all this. Thanks! Like MS Runner On Facebook!